I glanced over my shoulder. Another two-story wall of water was encroaching on us; its cap already curling then breaking, its white water plummeting toward us. I clutched the steering wheel’s mount and held my breath, praying for Rosie to be lifted up. No luck. The wave crashed over the boat, in one second dousing me and filling the cockpit with several feet of tepid water. Salt water rushed down the companionway steps, drenching the kitchen and quarter berth. 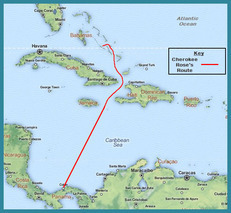 Our route as we travelled ten long days from the Bahamas to Panama. 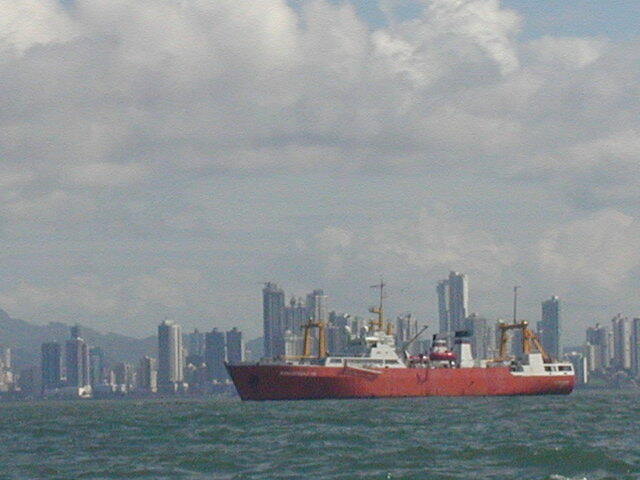 View of Colon from the water as we approach Panama. 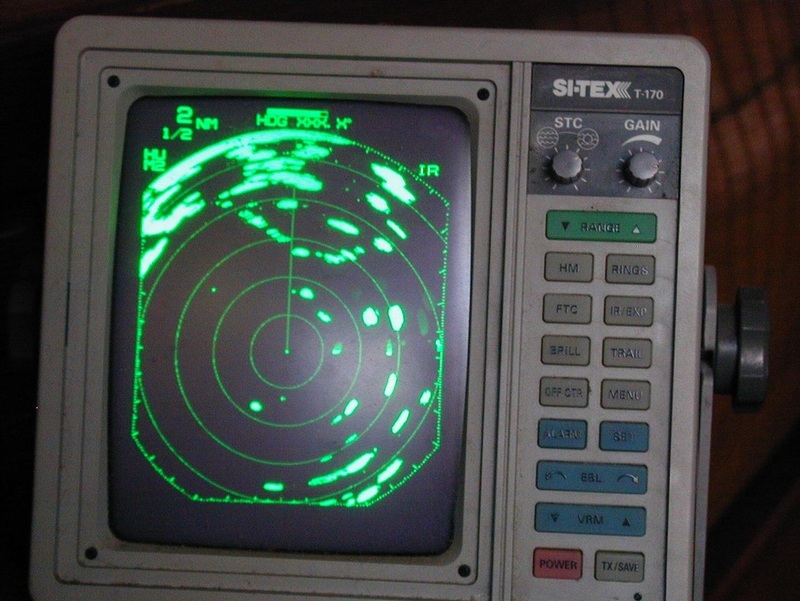 As we approached Panama, our radar screen was covered with "bogeys." The ships are the oval shapes; land is the big smear on the top left of the screen.